Epitex from GC is offering an efficient solution to all cases. 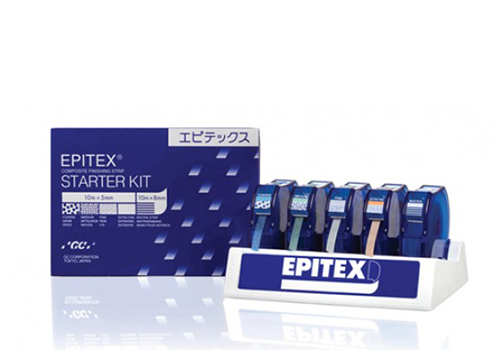 Epitex strips are ultra-thin because the abrasive particles are not bonded to the strip by an adhesive. Thanks to this feature, Epitex allows easier access in tight contact points, helping to minimize gingival damage.